At age four she dragged board games from the neighbor’s trash. 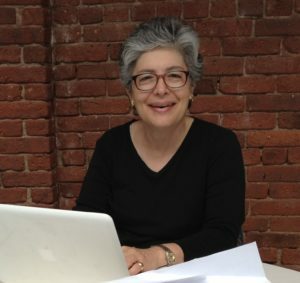 She advises governments, not-for-profits and Fortune 500 companies, including the U.S. EPA’s Energy Star label, the USDA’s Certified Biobased label, 60 Fortune 500 companies, and Green Seal. In 2012, founded WeHateToWaste.com as a platform for sharing new ideas from around the world for reducing waste and living ‘Trash-Free and Happy, Too’. 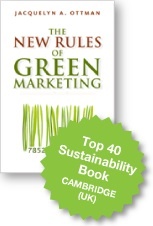 How to Make Credible Green Marketing Claims: What Marketers Need to Know about the Updated FTC Green Guides (Ad Age, 2012). 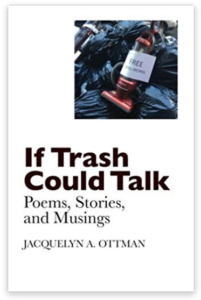 If Trash Could Talk thought-provoking verse that inspires and spark new habits, products and programs that help consumers live better without waste. Certified as a Zero Waste Business Associate by the U.S. Zero Waste Business Council (2015). Certified in facilitating the Osborn-Parnes Creative Problem-Solving Process by the Creative Education Foundation (Buffalo, NY). Intrigued by the sharing economy as a way for cities to reduce waste, save money, and build community. Now researching ways to increase participation in recycling, reuse and organics collection in multi-family buildings and institutional settings. Provides advice and thought leadership. Gives talks on strategies for helping urban consumers live “trash-free and happy too” by aligning with zero waste. Ottman frequently testifies before the City Council on strategies for NYC to achieve zero waste. 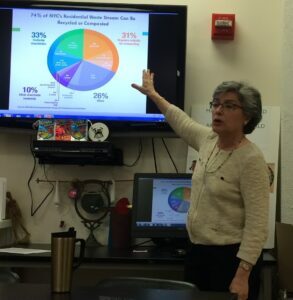 FOUNDING CHAIR of the Residential Recycling and Reuse Committee of the Manhattan Solid Waste Advisory Board, advisors to the Department of Sanitation, the City Council, the Mayor’s Office of Sustainability on zero waste. 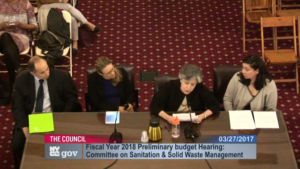 Shares insights and thought leadership in regular testimony before the Sanitation and Solid Waste Committee of the New York City Council.